Information on how to obtain the PDF version of this book for printing. 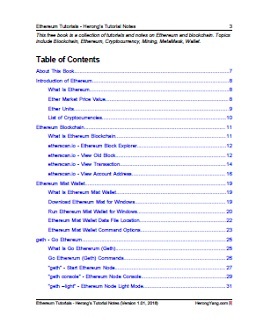 Price for the PDF version of this book is 0.001 BTC. 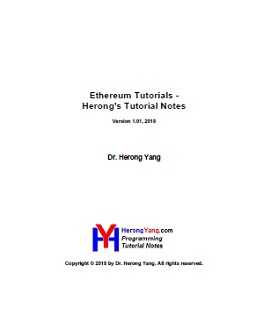 If you like to buy a copy with Ethereum, please send 0.001 BTC to the address of 1BrsCT6EfuiAik1AneQEEK1hs9vuEoUE4e. Once the payment is confirmed, write me an email to herong_yang...at...yahoo...dot...com. I will send you a copy of the PDF file.